Our joy is to share with, and support devoted friends around the world to know they are not alone in this Awakening process. All of the Living Miracles teachings are online at no charge. Your loving donations will continue to make this collaboration and sharing possible. All donations are greatly appreciated! Interested in connecting with Living Miracles? Learn about all the ways to connect with us here. Join the Conversation on our Social Media Sites! The Messengers of Peace have devoted their lives solely to Awakening. They have been living in purpose with David Hoffmeister for many years and extend a Presence of Peace and safety. Acknowledging that truth is in the Mind, they answer the invitation from those who have a deep desire to uncover the beliefs that obstruct the awareness of Love's Presence. To hear audios from the Messengers of Peace, visit their Spreaker channel! Our retreats and gatherings give spiritual seekers the opportunity for deep healing and spiritual rejuvenation. Time together is an opportunity to go deep into the mind to help remove the blocks to Love‘s awareness. Our events offer an opportunity for those who want to deepen their experience of A Course in Miracles. The Living Miracles Community is invaluable for giving fresh perspectives on the spiritual journey and healing of the mind. 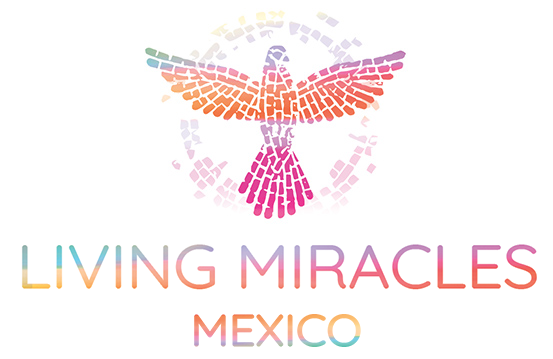 The Living Miracles community is devoted to living in an experience of inner peace. We are a devotional community committed to Awakening through the teachings of A Course in Miracles. With the added blessing of world renowned ACIM teacher David Hoffmeister, people from around the world have found a truly beneficial support for their awakening journey. Since 2014 many have stayed at our beautiful center in Chapala, Mexico and have left with a deeper sense of who they are in Truth. Our shared purpose is to heal and to be happy. We offer the most profound resources and transformational tools for remembering God's Love. We welcome you with open arms!